View Complete Calendar | Return to What Are the UC Ag Experts Talking About? Note: This webinar has no fee. 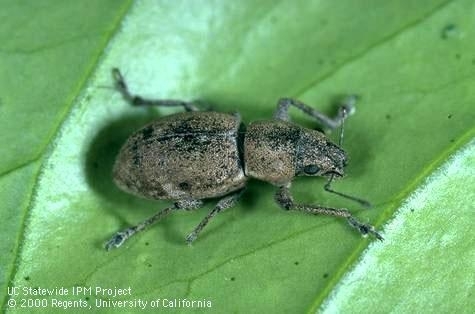 Dr. Beth Grafton-Cardwell, citrus IPM specialist and research entomologist, will discuss the lifecycle, damage to citrus, monitoring, methods of control and export issues associated with Fuller rose beetle. Participants can use the chat function of the webinar to ask questions. ington, D. C., 1930), in which his portrait is reproduced on plate 5.
becoming in 1855 the manager of the greenhouses belonging to W. R.
Prince of Flushing, Long Island. This position he held for two years. which he improved and then used for experimental purposes. was one of its founders and its vice-president from Bergen County. upon success in controlling insects. 22 V 2 cm., with no place or date of publication. 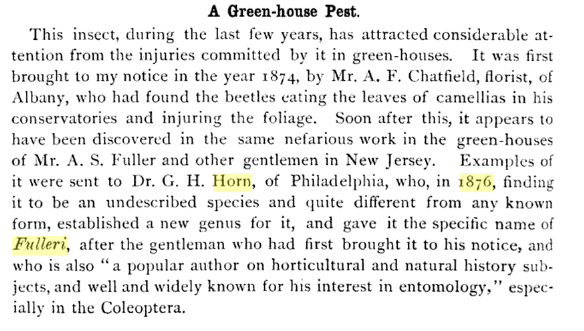 references may be found in the "Practical Entomologist”, Vol. 2, No. were likely to call him at any time. in many parts of the United States and was described again by Horn. tree in the world were growing, as well as other trees and plants. identified by good specialists. Some of it was material from Prof.
in the general collection are probably those of Fuller. can Biography, New York, 1931. American Horticulture, III, p. 6 16. 1906. 5, 1896; American Agriculturist, May 16, 1896.